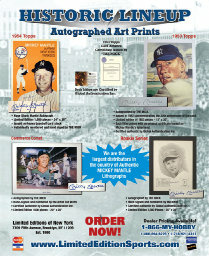 Limited Editions of New York is a full service memorabilia company that was established in 1990 and has a Gallery and Shop located in the heart of Brooklyn, New York. 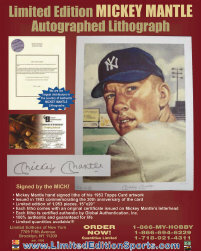 We are one of the leading dealers of authentic autographed Mickey Mantle items. 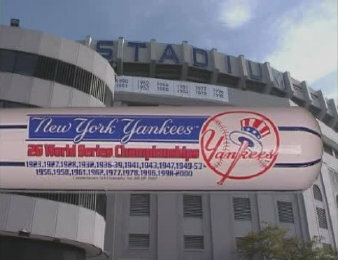 We are also the designers and exclusive distributors of the extremely popular and MLB LICENSED NEW YORK YANKEE PINSTRIPE BAT. Our goal has always been to offer unique collectibles that are difficult to find anywhere else! Our direct relationship with current stars as well as heroes of yesterday, enables us to offer these truly unique items. 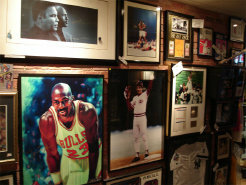 Balls, bats, photos, records, sports art and game used equipment are just a few of the many products we offer. Whatever your collecting desires are, we can help make that collection spectacular and unique.